There is little doubt that many (most?) people would regard Hermits as (at best) eccentric, or more likely odd, weird, and foolish. Even if the Hermit is not within the more extreme tradition of the Fool for Christ, the very fact of living as a Hermit can hardly be regarded as “wise”! “Foolishness for Christ refers to behavior such as giving up all one’s worldly possessions upon joining a monastic order, or to deliberate flouting of society’s conventions to serve a religious purpose – particularly of Christianity. Such individuals were known as both “holy fools” and “blessed fools.” The term “blessed” connotes both feeblemindedness and innocence in the eyes of God. The term fools for Christ derives from the writings of Saint Paul. 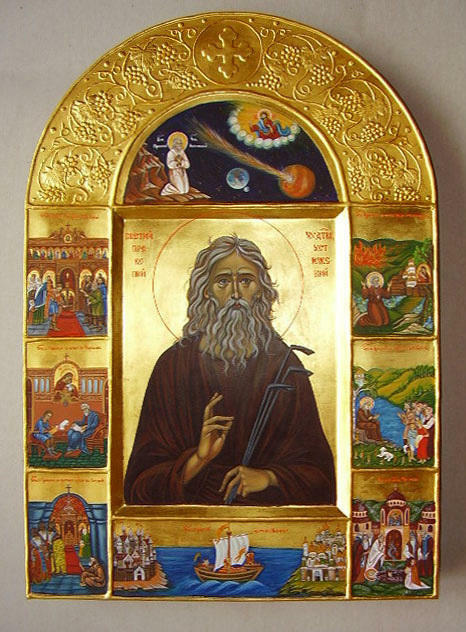 Desert Fathers and other saints acted the part of Holy Fools, as have the yurodivy (or iurodstvo) of Eastern Orthodox asceticism. Fools for Christ often employ shocking, unconventional behavior to challenge accepted norms, deliver prophecies or to mask their piety…. According to Christian ideas, “foolishness” included consistent rejection of worldly cares and imitating Christ, who endured mockery and humiliation from the crowd. That’s why, spiritual meaning of “foolishness” from the early ages of Christianity was close to unacceptance of common social rules of hypocrisy, brutality and thirst for power and gain. 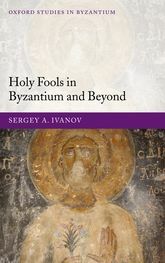 In his book “Holy Fools in Byzantium and Beyond,” Ivanov described ‘holy fool’ as a term for a person who “feigns insanity, pretends to be silly, or who provokes shock or outrage by his deliberate unruliness.” He explained that such conduct qualifies as holy foolery only if the audience believes that the individual is sane, moral, and pious. The Eastern Orthodox Church holds that holy fools voluntarily take up the guise of insanity in order to conceal their perfection from the world, and thus avoid praise. Some characteristics that were commonly seen in holy fools were going around half-naked, being homeless, speaking in riddles, being believed to be clairvoyant and a prophet, and occasionally being disruptive and challenging to the point of seeming immoral (though always to make a point). 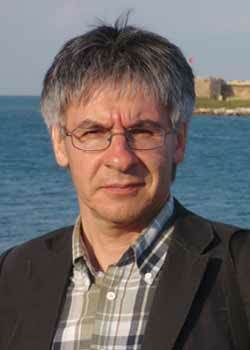 Ivanov argued that, unlike in the past, modern yurodivy are generally aware that they look pathetic in others’ eyes. They strive to pre-empt this contempt through exaggerated self-humiliation, and following such displays they let it be known both that their behaviors were staged and that their purpose was to disguise their superiority over their audience. 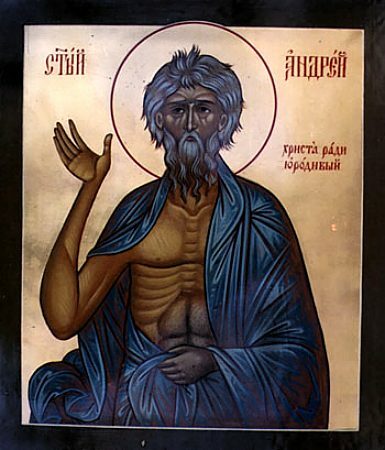 Fools for Christ are often given the title of Blessed (блаженного), which among the Orthodox does not necessarily mean that the individual is less than a saint (as in the Roman Catholic Church), but rather points to the blessings from God that they are believed to have acquired. 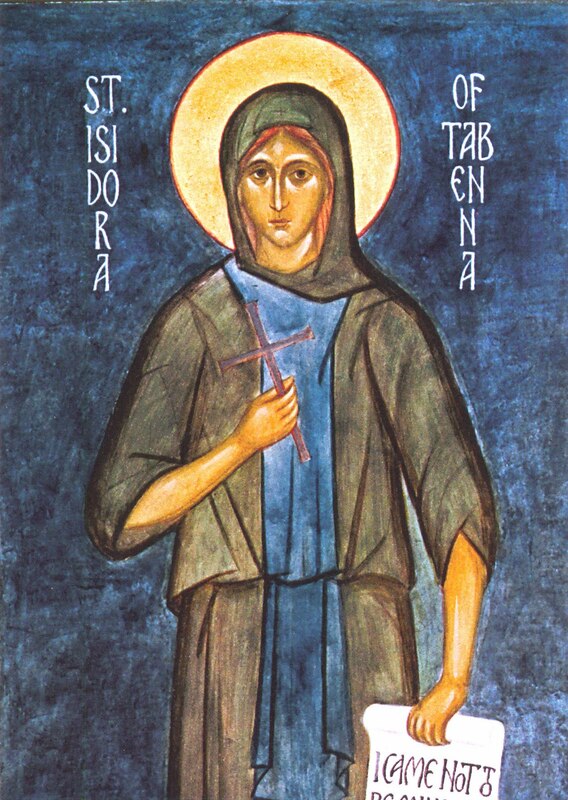 The Eastern Orthodox Church records Isidora Barankis of Egypt (d. 369) among the first Holy Fools. However, the term was not popularized until the coming of Symeon of Emesa, who is considered to be a patron saint of holy fools. In Greek, the term for Holy Fool is salos. The practice was recognised in the hagiography of fifth-century Byzantium, and it was extensively adopted in Muscovite Russia, probably in the 14th century. The madness of the yurodivy was ambiguous, and could be real or simulated. He (or she) was believed to have been divinely inspired, and was therefore able to say truths which others could not, normally in the form of indirect allusions or parables. He had a particular status in regard to the Tsars, as a figure not subject to earthly control or judgement. 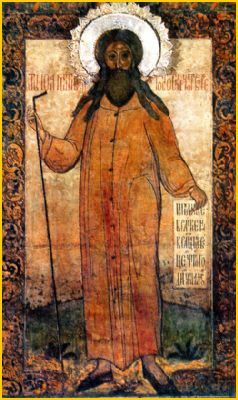 The first reported fool-for-Christ in Russia was St. Procopius (Prokopiy), who came from the lands of the Holy Roman Empire to Novgorod, then moved to Ustyug, pretending to be a fool and leading an ascetic way of life (slept naked on church-porches, prayed throughout the whole night, received food only from poor people). He was abused and beaten, but finally won respect and became venerated after his death. 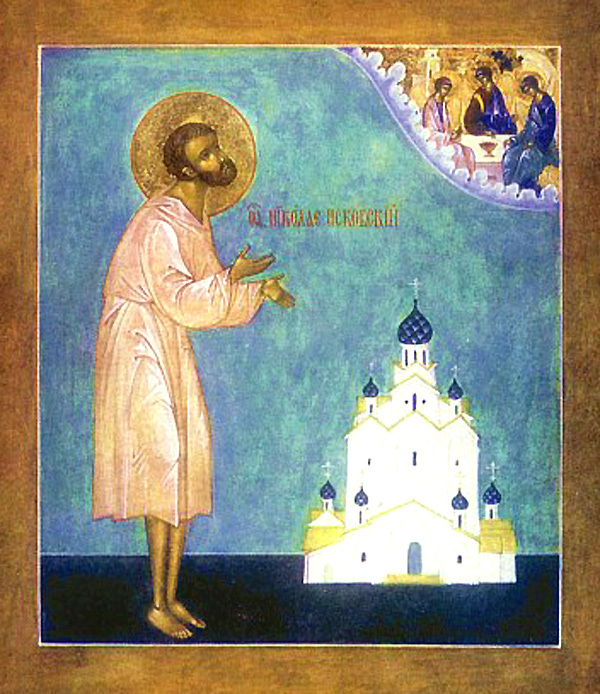 The Russian Orthodox Church numbers 36 yurodivye among its saints, starting from Procopius of Ustyug, and most prominently Basil Fool for Christ, who gives his name to Saint Basil’s Cathedral in Moscow. 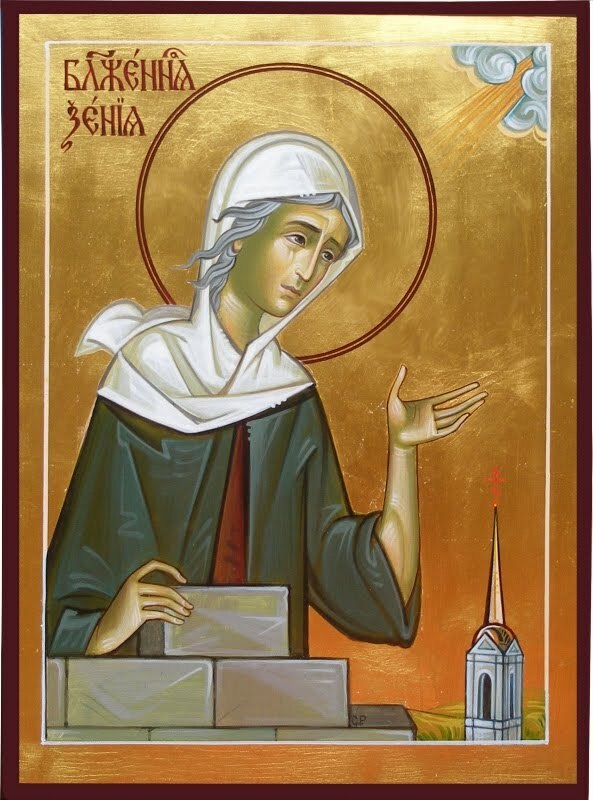 One of the best-known modern examples in the Russian Church is perhaps St Xenia of Saint Petersburg. “Fools-for-Christ, taking on the appearance of madness and suffering defamation from those around them, exposed human vices, brought those in power to their senses, comforted the suffering. Some of these are St. Andrew the Fool for Christ, St.Xenia of St. Petersburg, St. Basil of Moscow, Nicholas of Pskov and John of Rostov (“the Hairy”). In Greek, the term for Holy Fool is salos. In Russian, yurodivy is a Holy Fool, one who acts intentionally foolish in the eyes of men. He or she often goes around half-naked, is homeless, speaks in riddles, is believed to be clairvoyant and a prophet, and may occasionally be disruptive and challenging to the point of seeming immoral (though always to make a point). “Leroy Bolier, an outstanding French expert on Russia, made a very true observation, that “Russians are one of the few people who love what makes up the very essence of Christianity: the Cross. 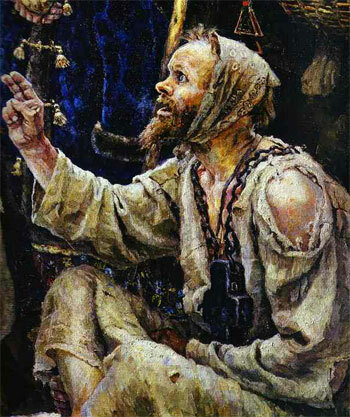 Russians have not forgotten how to value suffering, they perceive its power, feel the effectiveness of redemption and know the taste of its bitter sweetness.” Foolishness-for-Christ (yurodstvo) is none other than one of the forms, one of the manifestations of this love for the Cross, as noted by Leroy Bolier. At the very core of this podvig (one of the greatest within human powers: podvig = a spiritual exploit or feat that requires great effort, sometimes one of even superhuman proportions) is a feeling of terrible guilt before God within the soul, which prevents it from taking advantage of all the earthly comforts and impels it to suffer and be crucified with Christ. The essence of this exploit is in a voluntary acceptance of humiliation and insults in order to achieve the height of humility, meekness and goodness of heart and by this to cultivate love even for one’s enemies and persecutors. It is a life-and-death struggle not only with sin, but with the root of sin – pride in all its secret displays. A fool-for-Christ (yurodivy) is determined to follow the crucified Christ and to live keeping completely away from all earthly comforts. But at the same time he is aware that such behaviour threatens to create for him the reputation of a saint among the people and to strengthen his self-love and increase his pride as being one of God’s elect – which is one of the most dangerous rocks in one’s struggle for sanctity. So as not to be taken for a saint, a fool-for-Christ rejects the outer aspect of dignity and composure of mind that inspires respect and prefers to appear a miserable, weak creature, deserving mockery and even violence. Deprivations to which they subject themselves, their heroic, almost superhuman ascetic podvigs – all this must seem to be devoid of any value and to evoke nothing but contempt. In other words it is a complete denial of human dignity and even any spiritual value of one’s own being – humility raised to a heroic degree and at times, as it may seem on the surface, falling into the extreme. But in the heart of a fool-for-Christ lives the memory of the Cross and the One Crucified, the slaps on His face, the spitting and the flagellation, which encourages them at any moment to endure any reviling and oppression for Christ’s sake. Thus, for example, some fools-for Christ considered themselves free from even the most elementary commitments to human society, from its manners and morals, in order to challenge it. Not only did they present as evidence of their denial their almost total nakedness and physical filthiness, but even outward appearances of immorality (this happened even to those people, whose sanctity was officially confirmed by canonization.). 1. The ascetic defiance of vanity, which is always dangerous for monastic asceticism. In this sense foolishness-for-Christ is a feigned form of madness and immorality for the purpose of being reviled by people. 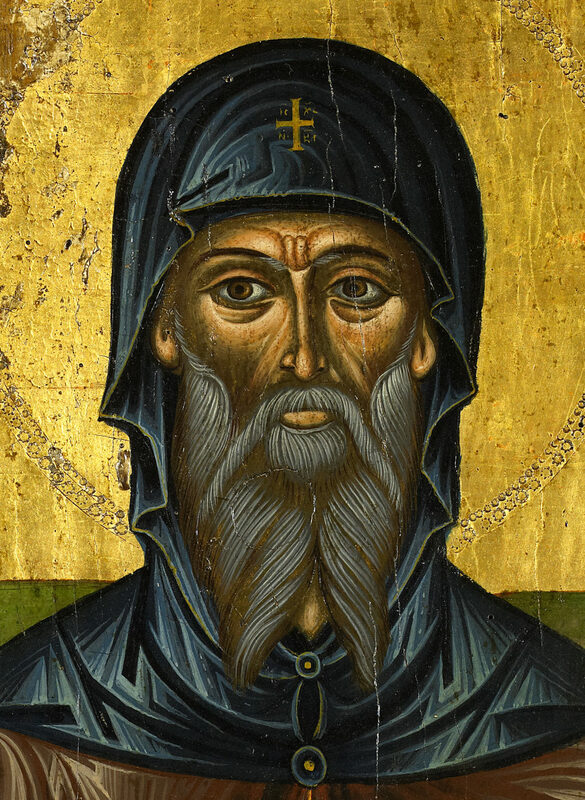 Simeon the Holy Fool (Abba Simeon, Saint Simeon Salos or Saint Simeon Salus) was a Christian monk, hermit and saint of the sixth century AD. He is considered to be a patron saint of all holy fools and also puppeteers. “The traditional Russian term for a holy fool, or fool for Christ, is “iuródivyi. 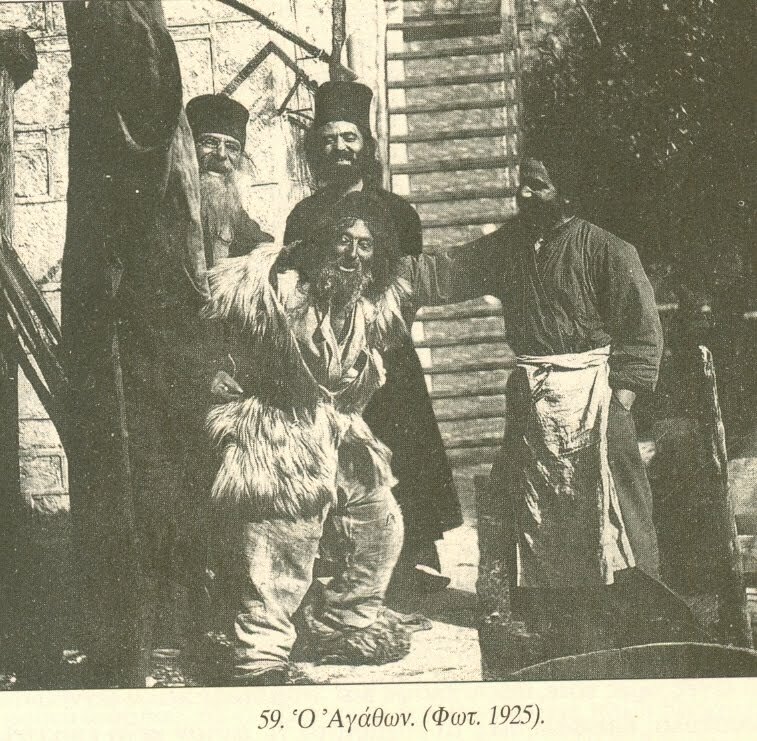 In old Rus’ and Rus¬sia “iurodivye” typically are radical ascetics – purifying themselves in introspection and prayer, leading a physically gruelling life, homeless, dressed in rags or in nothing at all – whose assumed simplicity or insanity puts them outside the normal range of commonplace ethics and etiquette. They are likely to behave outrageously by the world’s standards, publicly challenging social norms, shaking average people out of their complacency, frequently offending them gravely, and revealing deeper truths to those open to receive them. In the best cases they are revered as bearers of the ideal light of Christ, serving and illumining the people and the world around them. 1. Ascetically crushes his/her own self-importance by assuming the lowliest possible lifestyle and inviting people’s anger and scorn. 2. Ridicules the world by highlighting the inherent contradiction between superficial, self-serving common sense, moral codes, or ethics; and deep Christian truth (cf. I Cor:I-IV). prophetic speech. These three aspects are not always in easy harmony with one another. The first, for example, may involve provoking one’s neighbors into the sin of anger and judgment, whereas the third calls the iurodivyi to help these same neighbors achieve the best that they are capable of. The problem of self-importance or pride always brings a dangerous temptation in the ascetic struggle, involving a classic vicious circle: the more you succeed in conquering your self-importance, the greater may be the temptation for you to feel smug or arrogant about it, which brings you back to the original problem. The iurodivyi’s method of self-emptying involves a stance of insanity or idiocy which serves among other things to disturb and challenge people and draw their hostility and derision, and thereby enlist their help in keeping the iuródivyi’s own arrogance under control. There are many passages in Scripture which have helped serve as starting point or inspiration for those undertaking the path of “holy foolery” (iuródstvo). Some of these are cited in our text. They point to the model of Christ as Suffering Servant and as self-sacrifice for humanity, to many of the words and deeds of the apostle Paul, and to worldly wisdom as spiritual folly, and spiritual wisdom as folly in the eyes of the world. “There are saints in Orthodox Christian culture who overturn the conventional concept of sainthood. Their conduct may be unruly and salacious, they may blaspheme and even kill–yet, mysteriously, those around them treat them with even more reverence. Such saints are called “holy fools.” In this pioneering study Sergey A. Ivanov examines the phenomenon of holy foolery from a cultural standpoint. 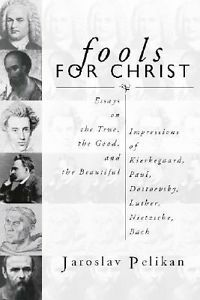 For a different, Western approach, see Jaroslav Pelikan “Fools for Christ” (2001). This entry was posted on December 9, 2013 at 10:11 pm and is filed under Uncategorized. You can follow any responses to this entry through the RSS 2.0 feed. You can leave a response, or trackback from your own site.